How do you know what pages you would consider Cornerstone? Cornerstone Content are the pages and posts on your website you want to rank for a popular search term “head term”. While you may create multiple posts or pages around the topic (such as selling a house), you’ll want one page to rank for the head term itself (selling a house) and the other pages to rank for longtail phrases (selling a house on the water, selling a house as a short sale, selling a house by owner). All of your other pages or posts with this topic will ALWAYS link back to the cornerstone content passing “link juice” to that main page. 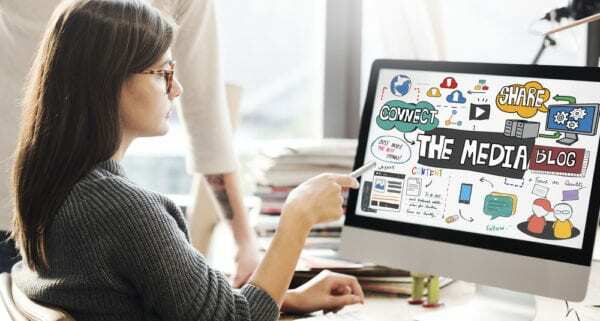 Ideally, your home page would link to your cornerstone content giving it some extra weight in the search engines. Cornerstone content is the article on your website that you want to show off the most. They are your pride and joy, so to speak. These pieces reflect what your business has to offer customers. They highlight your mission and what it is that you want to do or how you can help others. Most of all, these particular pieces of content are exceptionally well-written. Out of all the other content on your website, this content is what you want on the top page of the search engine. Cornerstone articles often combine insights from multiple blog posts on your site. A best practice is to create a great page of information with valuable content such as video, images, tutorials, guides, graphs, infographics, calendars etc. When choosing what posts or pages to use as your cornerstone content, you’ll want to stop and think about this very carefully. You don’t want to throw just any piece of content into the mix. Carefully think about main pages that you want a visitor to read when they first arrive on your website. If they were to read nothing else on your website, which pages would you want them to read? 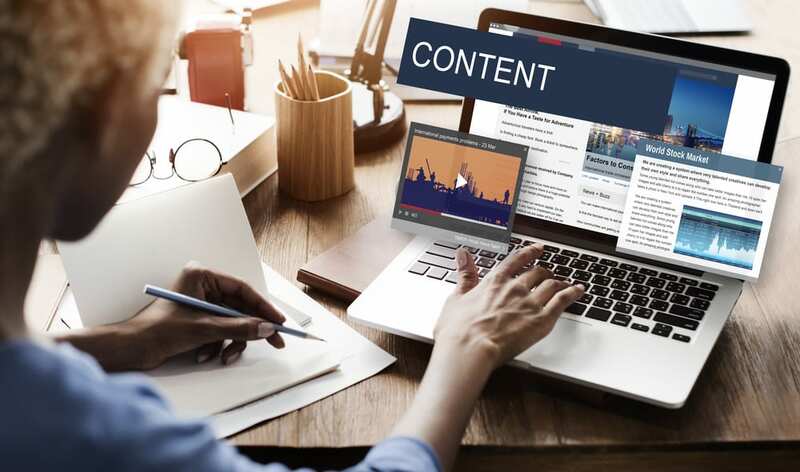 By figuring out which pieces of content are the most precious to you, it can help you make a sound decision in choosing your cornerstone content. You might also want to consider making your major topics cornerstone content. For example, you are a real estate agent who wants to dominate your market for certain kinds of neighborhoods. Maybe these are golf communities because your town has a lot of them (Maybe 8 or more). You will build one page that is all about “Golf communities in (city)”. On this page, you’ll make a list of all of the golf communities, maybe include a map, a comparison chart on how they are different or alike, that kind of thing. You might mark that page as cornerstone content and then have each the individual golf course pages linking back to that one page of cornerstone content. You also want to look at which articles are the most authoritative and complete. Articles should make a sound point and make people want to read more and see what you have to offer. Your cornerstone articles should also stem around the keywords that you want to rank high in the search engines for. Hint: If you’ve already been building content for a while, and are struggling to determine which might be a major topic for cornerstone content, you might try SEMrush to see which pages are ranking the highest and for what terms. 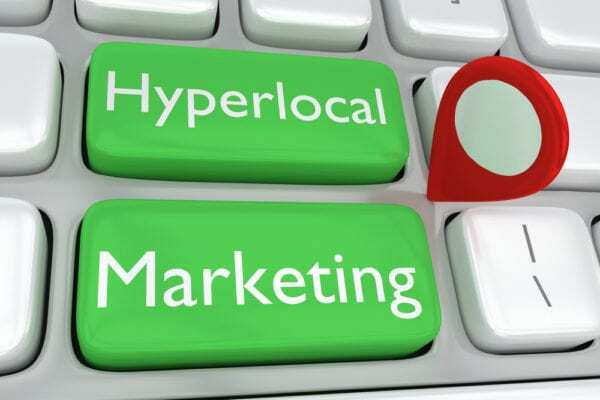 Let’s take Hyperlocal for example. I’m a real estate agent who wants to rank for local terms here in Las Vegas. 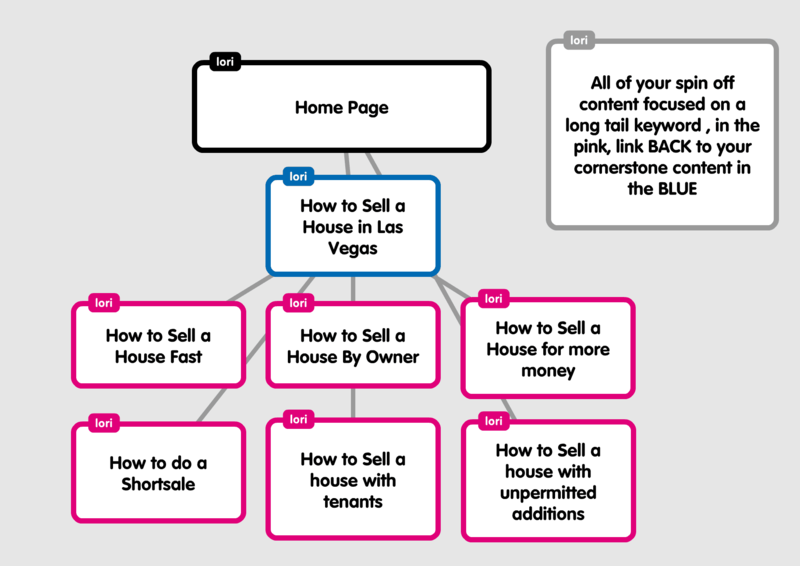 Ranking for these local terms such as “things to do in Las Vegas” may not bring in people that want to buy or sell today, but it brings traffic. It shows Google who we are as an entity and helps us in our niche. Google also stores a memory of the visit and may then show your webpages higher on the search engine results page for THAT visitor in the future. When you have visitors that do a Google search (query) and then find your page on the Search Engine Results Page (SERP) and click through to your page, and then ENGAGE (clicks, video plays, downloads, page visits, comments etc. ), Google is then likely to reward your page by moving it up on the search engines. This is done because Google (and it’s machine learning called Rank Brain) believes that time on site, page views, and actions indicate a quality page for that search. I want to rank for Downtown Summerlin for my real estate website. This is a huge mall that offers dining, shopping, movies, entertainment, arcades, bars, parades, things for kids and so on. The goal is to have one page all about Downtown Summerlin that ranks for the head term “Summerlin Mall”, or “Downtown Summerlin” or “Summerlin Shops”. What shops are Downtown Summerlin? The small posts could rank for the longtail phrase vs the head term “Summerlin Mall”. Each blog post has a link BACK to the cornerstone content which is the page all about Downtown Summerlin – The Summerlin Mall. Yoast, a WordPress plugin has a checkbox to select which of your pieces are Cornerstone content. Then, when you create a piece of content, it will suggest internal linking to particular pieces of cornerstone content. It’s fantastic. With the Yoast SEO plugin, you can choose whether an article is one of your pieces of cornerstone content or not. If you mark a piece of content as a cornerstone piece, the plugin will help you build a solid linking structure on your website. Yoast will then take your marked cornerstone content and suggest you include an internal link on that page giving these links priority which can help you rank higher in the search engines. When you have a large website, you will probably end up with more cornerstones than what you would if you had a smaller website. Since you probably have multiple content categories on your website, you want to have a few different options selected as your cornerstone pieces. Cornerstone content is one of the most important tools for your SEO strategy. It often isn’t easy to rank for search terms that are extremely popular. By using the cornerstone approach, you can easily tackle those search terms and come out ahead of the competition. If your site has a lot of content on a similar subject, you need to make sure Google knows which content is the most important and which one isn’t. Otherwise, you could end up competing with your own content. By providing the proper linking structure in your posts, you can easily let Google know which article is important and help get it to the top of the search engines. You want your cornerstone content to rank high in the overall scheme of things. In an ideal situation, you should be able to click right from the home page of your website to one of your cornerstone articles. All of your other posts on similar subjects should link back to that article. You can easily write a number of different pieces of content on the same topic as your cornerstone piece. For each one of these new pieces of content, you can link back to that main cornerstone piece. In doing so, you are creating an internal linking structure that is going to continue increasing the likelihood of your cornerstone content ranking high on the search engines. For example, if you are a real estate agent, you probably have a lot of pieces about choosing a Realtor® or finding the home of your dreams. Your cornerstone piece could be something like the How to find the Home of Your Dreams and then you could link to various other pieces, such as 3 Tips for Choosing the Perfect Neighborhood and 4 Things to Look for in Your New Home. Everything would link back to your initial article on locating the home of your dreams. 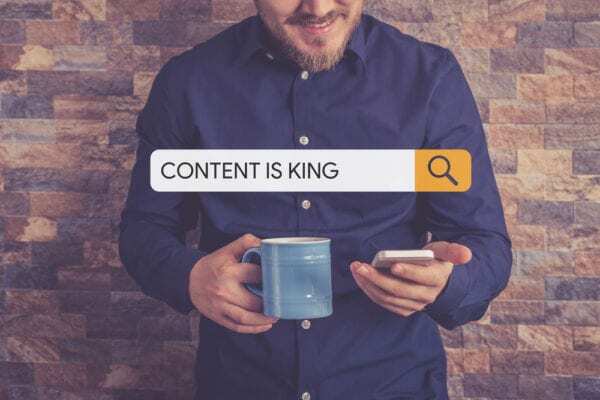 While the content is all tied together, you are doing your part to rank higher in the search engines without having to do a lot of hard work on your part. Within the Yoast plugin, you can take advantage of the internal linking feature. The plugin will analyze the text you write and use prominent words within the text to determine what articles on your site are similar in nature. That lets you know which articles should be linked within your piece. A cornerstone piece isn’t treated the same as your other content. The links generated for these pieces is different. They tend to be far more important so that they will receive a higher value than other content on your site. If you want to help boost their visibility as well, you need to put your cornerstone piece at the top of the list for internal suggestions. This will simplify things when it comes time to link to other pieces of content. Your cornerstone content should be longform content pages generally. While it could be a blog post, you want to make it a page as well. Make sure to update the content on the page on a regular basis. The content should be informative in nature. Aim to incorporate the highest-ranking keywords with the most competition. These pieces aren’t your typical 400-500-word blog posts. They are often upwards of 2,000-words, and at least 1100. Because they are so lengthy in nature, you will have to hone in one your creative writing skills to make these pages pop and stand out amongst the rest of your content. It isn’t always easy to read a lengthy article. Many users end up straying away and heading elsewhere because of the complexity involved in trying to read one of these pieces. You can break things up with headings. This allows the user to scan to the part that interests them the most easily. Use a table of contents (as we did in this blog post) to help the visitor get to the topics they want most. We use shortcodes ultimate (WordPress plugin) to create dividers that allow the user to scroll back up to the top. (As shown right here below). Consider carefully the keywords you want to use. Focus on keywords that are going to get you the best results. Doing some keyword research will help you along the way. Don’t just jump in head first with the simplest keyword out there. Figure out what is going to work the best for your specific needs. Don’t just use the first post you find. Choose the ones that is best optimized for keywords. Rewrite the content. Rewrite the cornerstone piece. Make it as SEO-friendly as possible. Expand the piece and make sure it is as up-to-date as possible. Expand upon the piece as often as you can to keep the content fresh. Optimize the other posts for long-tail variants of the keyword. Take your existing keyword and optimize some of your other pieces of content to make them more SEO-friendly. Link from the tail to the head. Make sure you link from your other pieces back to the cornerstone piece. You don’t want to end up losing out on valuable search rankings simply because you didn’t include the internal links. By going through the information above and incorporating the suggestions into your pieces, you can get your content to the top of the search engines in no time. It is all about using the tools that are at your disposal and taking advantage of the keywords today. Start by doing some research on what keywords are the most important and then taking it from there to start crafting your cornerstone content pieces. When all is said and done, you will end up with a bunch of your website pages ranking high in the search engines and plenty of visitors coming your way. Don’t delay in highlighting your cornerstone content today. It could be one of the best moves you ever make when it comes to your content. If ever in doubt, more is always better when it comes to the world of content and SEO. We can Write your Blogs for you! When you start at ground zero, you need a plan. Ballen Brands can help establish your website with a beginner bundle of content. Your welcome message, about us page, contact page, and more can be created for you with high-quality, attention to detail, and professional appeal. Although we recommend a Ballen Real Estate Website, you need not have a BREW to take advantage of our content services. Let us help you get started on your journey into content marketing with website fundamentals. You might also like: How to use Schema Markup to earn Featured Rich Snippets on Google from your structured data.